Take apart the word ‘remember’ and it literally means to put back together, to re – member. It implies that something is broken. It carries with it associations of gentleness, tenderness; that which was once destroyed is re – assembled, re – membered. Mark spends nearly 400 of the 11,000 words in his terse gospel describing the violent death of John the baptizer. The events are eerily similar to Jesus’: both are executed by officers of the state who would like to let them live; both are killed for reasons which are downright silly and, for that reason, all the more awful; both are brutally murdered because of the assaults of mad people. Also, in both stories, the followers do not retaliate; instead, they take the bodies, wrap them in cloths, and lay them in a proper burial. 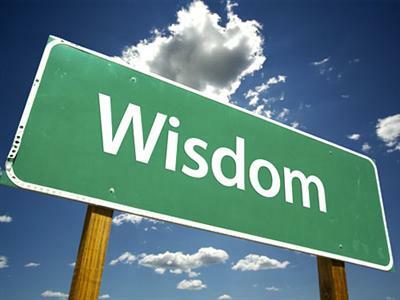 The followers re – member their beloved leader – returning love for love once shown, and demonstrating to the authorities through acts of gentleness that those in power have already brought judgment upon themselves. The similarity also carried into the lives of those first century Christians who received this story called ‘good news.’ They, too, were suffering their own passion-tides simply because they practiced unconditional communitarian love, worshipped a universal God, and followed the Way of Jesus. They, too, are victims of violent people who exact dehumanizing torture and death in a sick, mad world. You know very well what it means to live – and strive to live well and whole – in a violent world run by deranged people. We cannot control this world, or stop violence. We re – member, the gospel tells us, so the better angels of our nature will grow. We re – member, as well, so the nastier demons of our nature will not take root, lest we, too, become yet another fatality to the starving madness of this broken and sinful world. That is why we remember. I’ve had two experiences which remind me of this truth. In 2002, I helped lead a group of high school Episcopalians to the Episcopal Youth Event (EYE), held that summer at the University of Wyoming in Laramie, Wyoming. Four years earlier, Matthew Shephard, a young gay student at the university, was tortured and murdered by two local Laramie men. They robbed, pistol-whipped and tortured Matthew, tying his near-lifeless body to a fence in a remote field. A cyclist found his blood-soaked body 18 hours later, thinking at first it was a scarecrow tied to the fence. This horrifying case brought national and international attention to hate crimes, and continues to be a sobering example of the violence we can do to one another. There is no memorial in Laramie to Matthew Shepard. In town, one afternoon, one of those with us got a cold shoulder when she asked a local man where the farm was where Matthew lay dying. I’ve learned that that struggle is ongoing: yes, in 1998, community leaders expressed appropriate sadness and disgust about the murder, but the town has resisted establishing a memorial. Local residents successfully petitioned the city to change the street names leading to the field where Matthew was beaten, hoping that people would go away. The summer I was there, a local man pointed out to us the general area of the field. All I remember seeing was a long stretch of fields and a fence line in the vast distance. Laramie did not feel, to me, like a healed place. Our nation, likewise, isn’t healed, and I honestly fear that vicious hate crimes against gay and lesbian people will be met, in some cases, with some people, by indifference, ignorance or, worse, endorsement and support. 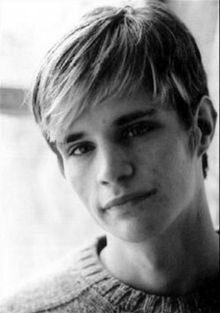 How have we re – membered Matthew Shepard? How have we, as a people, looked upon something that is truly horrible and taken the body down from that fence, wrapped it in love, and shown to a world which feeds on violence that, according to our good news, love defeats hatred, gentleness trumps ignorance, and care establishes justice? The answer, in this case, is we have not. My second experience was a time in which I saw my father cry. When I was 15 years old, I came out East for a family wedding. The day after the wedding, we visited some of the memorials in Washington, DC, in particular the Vietnam Memorial. At the deepest part of the wall, I was next to my father, running my hand over some of the names, thinking about who they were, when I turned to continue down the line and saw tears on his face. It is a powerful memorial. It was good for my dad to cry, as countless others have at that wall, because these were his friends and promising young men from his generation. I’ll bet they were also tears of exhaustion, of being given the opportunity at long last to grieve a particularly painful moment in his adult formation, for at the very moment he was becoming an adult – getting a job, getting married, starting a family – this country was being torn apart, relationships chosen or broken on the basis of ideological stances, a people ripped apart from its insides. There has been much healing since the Vietnam Conflict, evidenced by the ways in which we unambiguously support our troops in the current conflicts. I would suspect that that wall has had a lot to do with that healing. Terrible events happen in the world, and we are powerless over systemic hatred, bigotry, and injustice. But we are not powerless over the ways in which we respond, and in that response lies the only hope of an emergent, profound Kingdom that is not of this world but is, rather, God’s. And that is why we remember. That is why we take the body that was abused, pistol-whipped, beheaded, suffocated on a cross, or broken by words or threats and wrap it gently and lay it in a place we will remember and visit again, even if it is a memory we don’t like to face, especially because it is. On a night seething with violence, He did it himself, after all – washing feet, embodying servanthood, expressing kindness, demonstrating love, taking bread, pouring wine and saying “Do this in remembrance of me.” Put back together that which was broken, or soon will be, and He will be there, mending those once-shattered shards, healing the world from within. Taken from a sermon preached at St. George’s Episcopal Church on Sunday, 15 July 2012. The full text of the sermon can be downloaded here.